The blame game between the Brihanmumbai Municipal Corporation (BMC) and Railways continues after a foot overbridge collapsed near Chattrapati Shivaji Maharaj Terminus on March 14. Six people have killed and over 31 injured in the mishap. The BMC has been directed to submit its preliminary report within 24 hours and fix responsibility of the tragedy. Constructed in 1984, the bridge was declared fit by the auditors and was recently beautified with tile work. 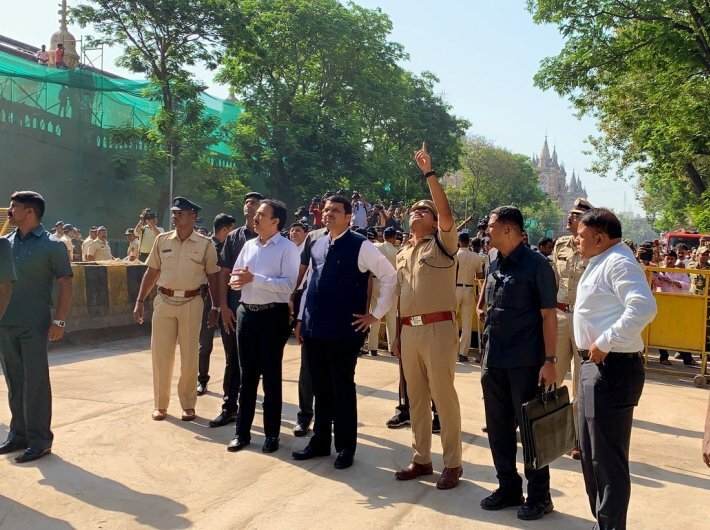 Maharashtra chief minister Devendra Fadnavis has stated that the audit had declared the FOB to be safe and has asked BMC commissioner Ajoy Mehta to fix “primary responsibility”. An FIR under section 304 A (causing death by negligence) has been registered by Azad Maidan police station against the railways and BMC officers. In 2016 an audit declared the bridge structurally safe. In a statement issued by the BMC, the agency has directed chief engineer (vigilance) to submit preliminary report within 24 hours identifying municipal staff and structural auditor responsible for the incident. It has also asked chief engineer (vigilance) to submit report within one month for the cause of structure failure and reasons for bridge collapse, history of repairs and maintenance of the bridge, if structural audit was carried out in time, in a scientific manner with required methodology of appointing auditors, recommendations of last structural audit, if structural report was properly studied and analyzed by municipal officers and actions taken by municipal officers on audit recommendation. “354 bridges were checked for their structural soundness and the bridge that crashed last evening was classified as C2B i.e., requiring minor repairs only. Tenders were floated but they were held up. We will investigate whether the tender was held up by the BMC standing committee or the roads and bridge department,” a BMC official was quoted earlier. Activist Samir Zaveri who lost both his legs in a railway accident, said that the railways takes maintenance money from the BMC for bridges that connect with railway land. “While BMC pays money to railways for maintenance of connecting bridges it does not check their fitness or how work has been carried out,” says Zaveri. Experts Governance Now spoke to said that unlike earlier steel bridges made by the British, bridges today are made of concrete and do not allow if rusting has taken place inside. “Like buildings, every bridge must undergo a periodical audit. The portion of bridge that crashed down was on road and hence tiling and beautification work done recently on bridge was under BMC. BMC should have checked the structure before doing tiling work,” said transport expert AV Shenoy. “With 1.2 crore population Mumbai needs single point governance like London and New York especially between railways and agencies involved like the BMC, PWD, MMRDA, MbPT, etc. BMC is supposed to have Apex Monitoring Committee for Roads where every two months representatives from various utilities like fire brigade, railways telecom companies, electricity companies, etc., should ensure coordination for projects like road digging, etc. No meeting took place since 2012,”added Shenoy, who was part of the committee earlier.